It’s almost that time again, folks.. yep, you know what I’m talking about: WEEKEND BRUNCH is just around the corner! It’s no secret that we freakin’ love brunching. I mean, after all, who can call themselves a true Dallasite and NOT love brunch? Frauds, I tell ya! 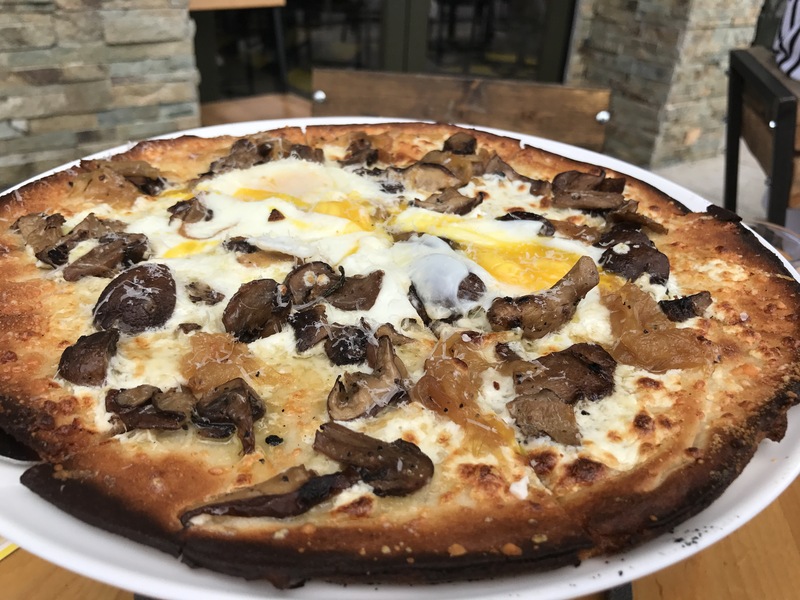 Anyhoo, as you may remember, we are absolutely obsessed with Pie Tap Pizza Workshop + Bar and when we learned that they serve brunch, it was a no-brainer that we had to stop in. 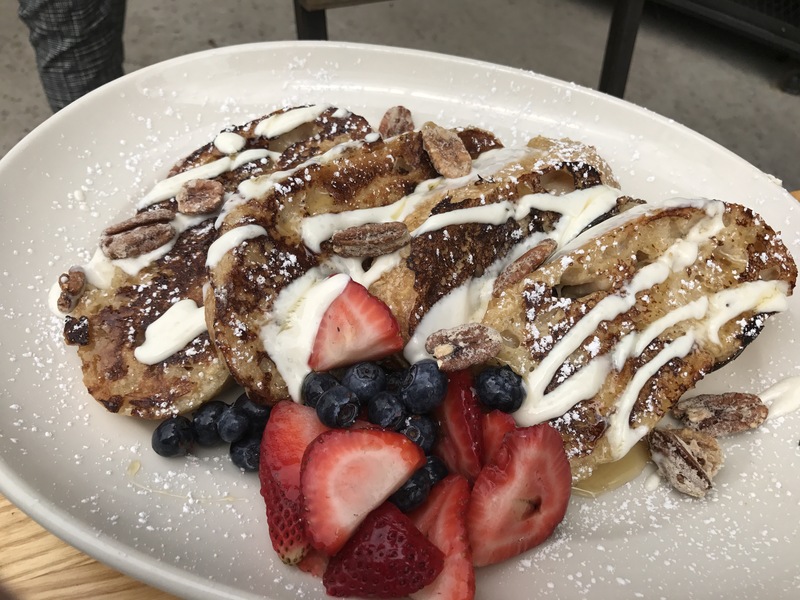 Last weekend, we graced the patio of Pie Tap on Henderson Avenue (there’s also a Design District location) to check out all things brunch and dammit, it was good. Not that we didn’t already know that since lunch and dinner service is always impeccable but folks don’t normally think of a pizza joint for brunch, right? 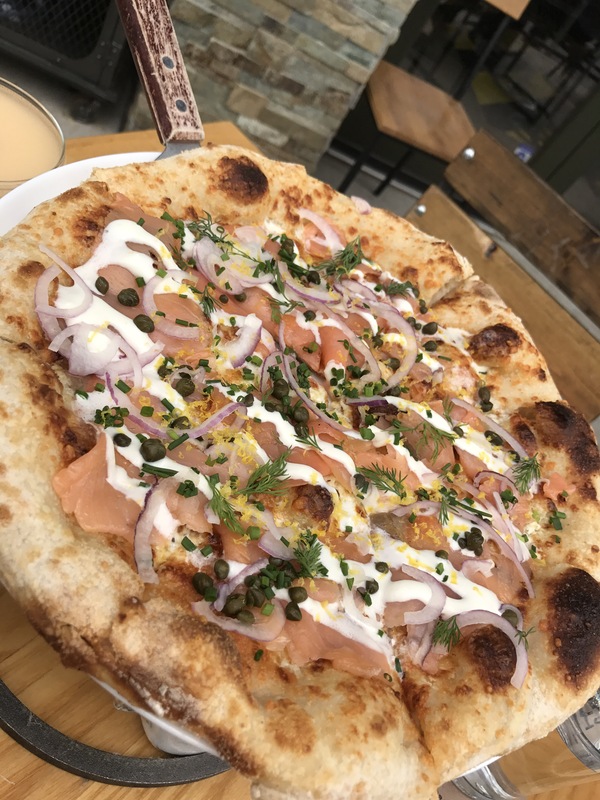 From Bloody Mary’s that literally have a slice of cheese pizza majestically laying on top, $10 mimosa carafe specials and fabulous food to boot, you need to gather up your crew and make Pie Tap your regular brunch spot. 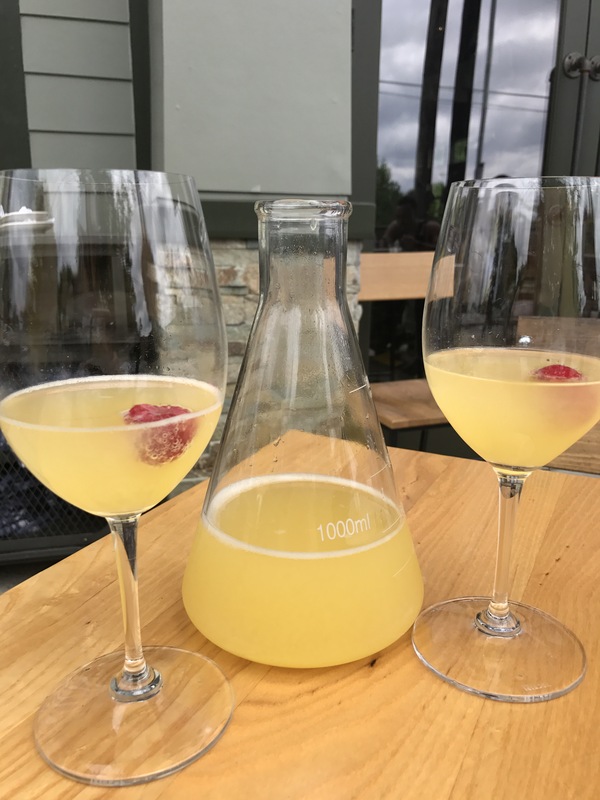 1000ML Mimosa – just $10! Something that I found particularly cool was that the breakfast pizzas can all be done with a gluten-free crust and while it isn’t Pie Tap’s signature crust, they do use a special crust that is delivered straight from L.A. and even though I’m far from gluten free, I’m happy to report that it is just as good as a “regular” crust! Whether you’re g-free or just trying to cut some carbs but still indulge, Pie Tap has your back! At Pie Tap, brunch is offered Saturday and Sunday from 10am to 3pm. 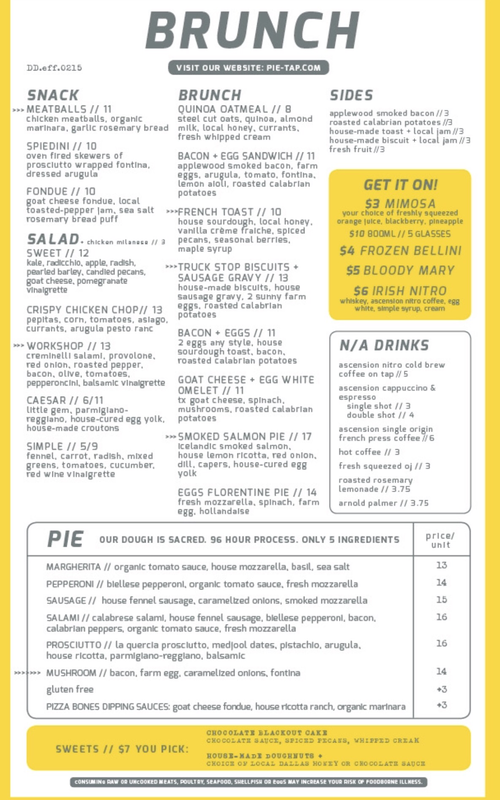 Don’t take our advice though, peep the brunch menu below and then head in for yourself. We know you’ll give it just as glowing as a review as we have!